I use to hate olives but they have been growing on me over the last couple of years. The catalyst for this revolution was trying *good quality* marinated olives one day. Like so many food items, you get what you pay for and I tell you..olives aint olives. So if you make this, do yourself a favour and buy good olives, from a good deli and/or marinate some and then and only then…. 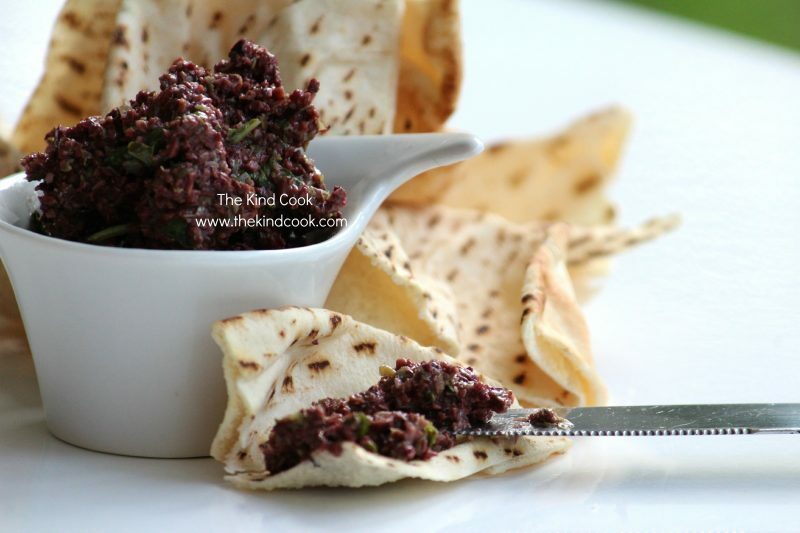 make a tapenade. Blend all the ingredients except the basil. Blend it to me as chunky or smooth as you like it. Serve as a dip, spread on your favourite bread, use in sandwiches or toss through pasta.